The Col du Tanneron exacted a terrible toll on yellow jersey Robert Gesink on the road to Cannes. An Italian coalition saw the Dutchman lose the race lead that many expected him to carry all the way to Nice. 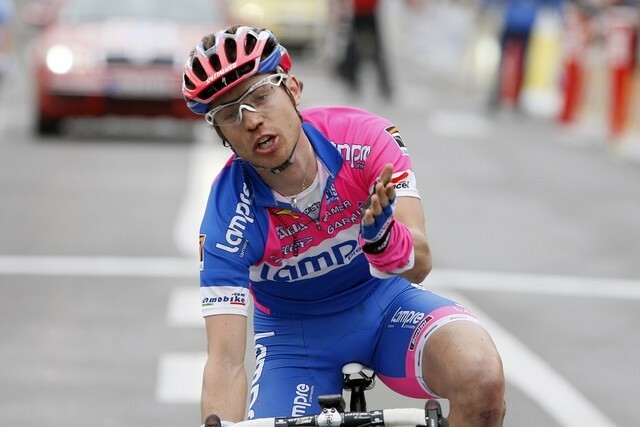 Behind stage winner Sylvain Chavanel, whose aggression throughout the race was finally rewarded, Gesink was left isolated. The Rabobank rider, so impressive on Mont Ventoux two days ago, was isolated after a chaotic, crash-filled descent left him chasing on his own on the run-in to Cannes. Ahead, Davide Rebellin and Rinaldo Nocentini, aided by countryman Damiano Cunego, rode for all they were worth to distance Gesink. 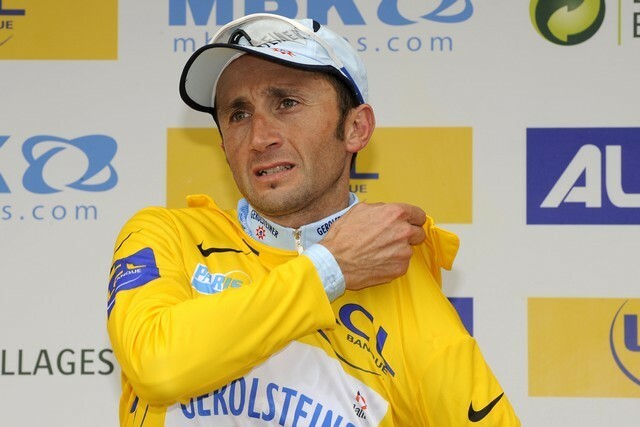 And Rebellin, who was ambushed in a similar fashion into Nice last year by Alberto Contador, took over the race lead by three seconds from Nocentini. It looked as if the main contenders were going to take a day off, after a leading group of five made it to the foot of the Tanneron three minutes clear of the peloton. But while Bobby Julich, Chris Sorensen, Bernhard Kohl, Alekandr Kushcynski and Matthieu Sprick, struggled over the hill, the Caisse d?Epargne and Silence teams were trying to cook something up behind them. Both teams set a hard pace up the Tanneron, reducing the front group to 30 or 40 riders, including Robert Gesink, but crucially, none of his team-mates. It still didn?t look like an emergency when Gesink cruised over the top of the climb at the side of his main rivals. But the descent of the Tanneron starts with an extended section of false flat. Gesink was on his own here, and his rivals knew it, taking turns in attacking him and forcing him to close gaps. 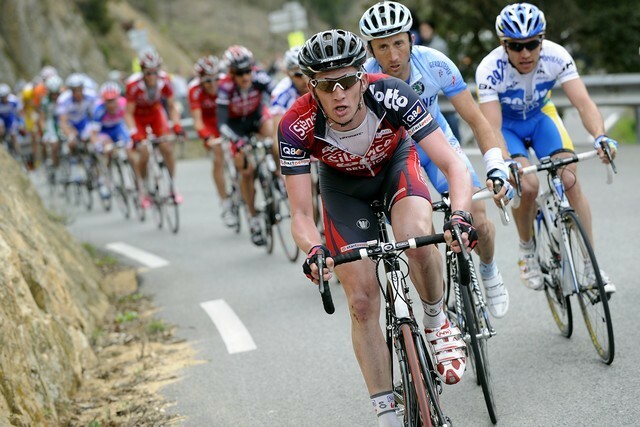 Sylvain Chavanel, a confident descender, made an attack which took Damiano Cunego, Davide Rebellin, Rinaldo Nocentini and Luis Leon Sanchez with him. Suddenly, a gap appeared in front of Gesink?s front wheel, and this time he couldn?t close it. While old Paris-Nice hand Davide Rebellin, who knew the descent like the back of his hand, swooped down ahead, Gesink looked blocked, and lost lengths on every sharp corner. By the time the race hit the flat road into Cannes, into a strong headwind, there were bodies all over the place. Rebellin?s group had made contact with his team mate Bernhard Kohl, the second-last survivor from the escape group. This now looked like a Gerolsteiner masterstroke, and Kohl buried himself for his team leader. Into Cannes, the lead group mopped up lone survivor Bobby Julich, and set about making sure that Gesink would not get back on. Behind, Gesink faced the heart-breaking task of pursuing, with 15 riders sitting on his wheel, and only Frenchman Clément Lhotellerie, fighting to stay in the top 10, willing to lend a hand. To make things worse, another group of 13, including fourth placed Yaroslav Popovych, was ahead of Gesink, and also gaining time on him. The Dutchman didn?t stand a chance, and his total deficit to Rebellin by the finish line was 1-29. 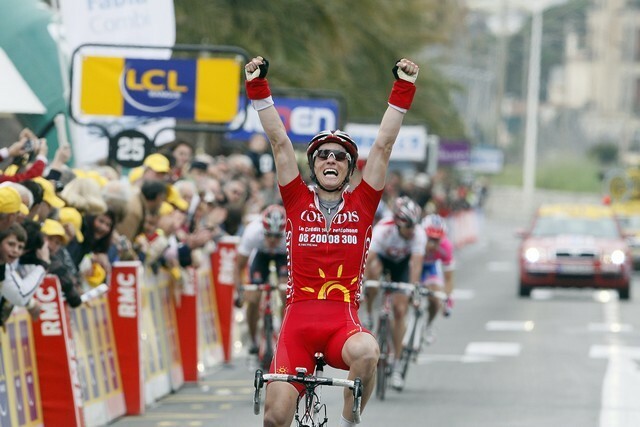 The lead group only started in-fighting in the final kilometre, with an attack by Bobby Julich, and then the race-winning attack by Chavanel. As quickly as the yellow jersey came to Robert Gesink, it left him again. He may be the fastest climber in the world at the moment, but that counts for naught if he can?t go down the other side. The final stage of Paris-Nice is no procession to the finish. Although the stage is only 115km long, there are three first category climbs, with the last one only 14km from the end. The first climb is the 1,068m Col de la Porte, which comes 50 kilometres in. But it?s the second half of the stage which is likely to see fireworks. The climb to La Turbie at 88km is followed by the traditional final ascent of the Col d?Eze above Nice. Last year, Alberto Contador stole the lead from Davide Rebellin on this final climb. Will anybody be able to do the same to the Italian this year? The stage is expected to finish between 1635 and 1655 local time.